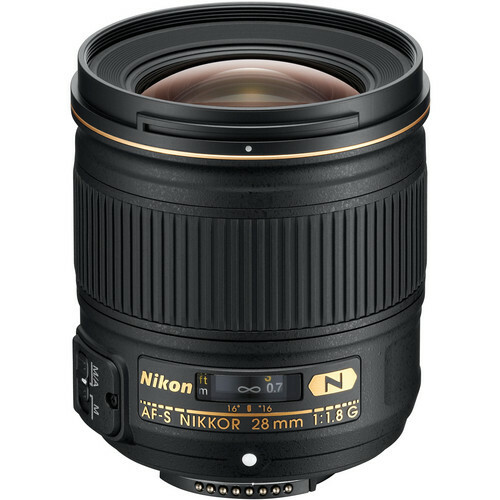 A fast f/1.8 lens with a fixed focal length of 28mm, the AF-S NIKKOR 28mm f/1.8G is a great lens for low light photography, travels when you’re looking to shoot landscapes and or architectures. Nikon’s Silent Wave Motor (SWM) technology ensures silent auto-focusing, where as the presence of two AS (Aspherical Elements) ensures that the spherical aberrations are suppressed. Super Integrated Coating (SIC) reduces flares, ghosting and increases the color saturation of the lens. Nikon has provided Rear Focusing elements in the lens, ensures when focusing the lens barrel never extends. Rear Focusing lens elements only moves the rear end elements of a lens. The presence of Nano Crystals in the lens means the lens can suppress ghosting and flares which are very common in wide angle lenses, especially when shooting at fast apertures in broad day light. 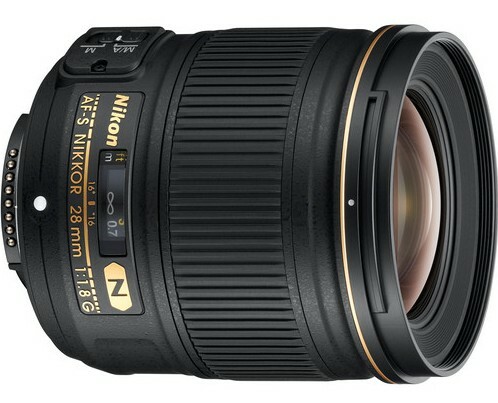 The AF-S NIKKOR 28mm f/1.8G has a minimum focusing distance of 0.85’ or 0.25 meters. The lens has a maximum angle of view of 53° on a DX format DSLR and that of 75° on a FX format DSLR. There are a total of 11 lens elements arranged in 9 groups. There are a total of 7 rounded blades which makes up the diaphragm of the lens.